We all need to have people around us who believe in us, who love us unconditionally, and who see more in us than we see in ourselves. I am blessed to have many mentors, both personally and professionally, who do encourage me, stretch me and challenge me to be the best I can be. However, THE person who really held me to my best was my Mother. She passed away at New Year’s several years ago and I have felt the loss over these past years. My mother and I were estranged for close to 10 years but, for the past 6 years, we restored that relationship and our bond was like cement.I know that many women entrepreneurs can relate to having a difficult or challenging relationship with your mothers – or no relationship at all. However, I learned a lot of life lessons from my mother – she was an amazing, courageous, brilliant, inquisitive woman – and I applied those lessons to my business. Here are my favorites. Living In Your Past Will Not Serve You In Your Future : This lesson was specifically applied to my mastery as a public speaker. My mother, in the past few years, has been totally amazed that people would pay me, and pay me very well, to speak in public. She constantly reminded me of the days, in elementary school, when she had to literally ply my fingers off the chair rails and pull me out from under chairs, to get me to go to school. I was painfully shy! We all have great potential – but we also tend to dwell on the past, on what people have said about us, what our beliefs are about our abilities – and, therefore, we do not use our potential. Work Hard (& play hard too) : I grew up in a military family and we had no money. My Dad was a great role model when it came to work ethic. He was proud to be able to support our large family and I learned a lot from him about discipline, focus, time management, and respect. My mother was a ‘stay at home’ Mom for many years and I know it is no easy task to manage a household of 9! While my father was away often, and for long periods of time, my Mom worked hard to keep the family happy, healthy and together. Say What You Mean. Be Authentic. : My mother was never shy when it came to speaking her mind – sometimes, those words were quite brutal, actually. But I did learn that honesty is the best policy but we may need to ‘temper’ some of our statements though so they aren’t hurtful! Ask Questions. Keep Learning. 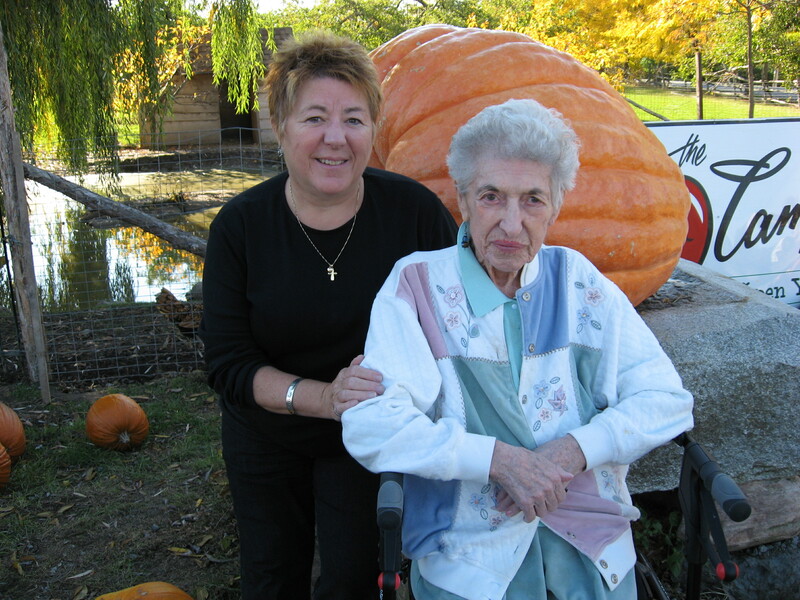 : My mother was extremely inquisitive – almost to the day she died. She was always asking questions. I remember, just a few years ago, she was dying to know how computer animation worked – she was 86 years old at the time! And she really wanted to know. It intrigued her to no end. I loved that about her – and I am a chip off the old block. My Mom made it ok to ask questions constantly, to keep learning about many different things and to keep your brain active. Stay Connected : While we were estranged for many years, once we restored our relationship, it was important for my Mom to stay connected with me. She had a sincere curiosity about the work I do and the places I go – especially when I was on the world tours. She followed my travel blog on her computer and, when I would return from business trips, she would be the first to call to ask how things went (and, what did I learn?! – always her question!). I miss those phone calls now because they not only helped me, and my work, to feel validated – but I loved to share, too. There are many more things I learned from my Mom and there are many ways that she inspired me – to be the best person I could be and the best business woman I could be. This entry was posted in Daughter, Inspirational, Mother, Women and tagged Canada, female entrepreneur, friend, friendship, herstory, inspiration, Inspired by my mom, inspiring story, Mentor, Mother, Pat Fortin Mussieux, WealthyWomenLeaders.com, Woman. Bookmark the permalink.